Diese Website bietet eine Vielzahl an kostenlosen Service- und Support-Informationen für alle OpenEMM User. Da der OpenEMM eine Open-Source-Lösung ist, kann der kostenlose Support nur als Selfservice angeboten werden. Hier finden Sie zahlreiche Tipps, wie Sie sich selbst helfen können! Wenn Sie an kostenpflichtigen Dienstleistungen für den OpenEMM interessiert sind, wie zum Beispiel einem Setup Support, einen Service-Vertrag, Hosting und Administration oder Entwicklung, dann werfen Sie doch einen Blick in unsere Commercial Services. Hier finden Sie zahlreiche kostenlose Support Dokumente und Handbücher zum OpenEMM. Die meisten Dokumente stehen nur in englischer Sprache zur Verfügung. Sie sind ein Entwickler und an zusätzlicher Dokumentation zum Quellcode interessiert, um den OpenEMM weiter zu entwickeln? Das win32.zip file wurde getestet mit Windows XP. Das Binary Tarball wurde getestet mit Red Hat Linux, CentOS und Ubuntu. Das vmx.zip file wurde getestet mit VMware player. Hier finden Sie zahlreiche Antworten zu regelmäßig gestellten Fragen. Falls Ihre Frage hier noch nicht beantwortet wurde, finden Sie möglicherweise eine passende Lösung im OpenEMM Forum! Die FAQs liegen nur in Englisch vor. 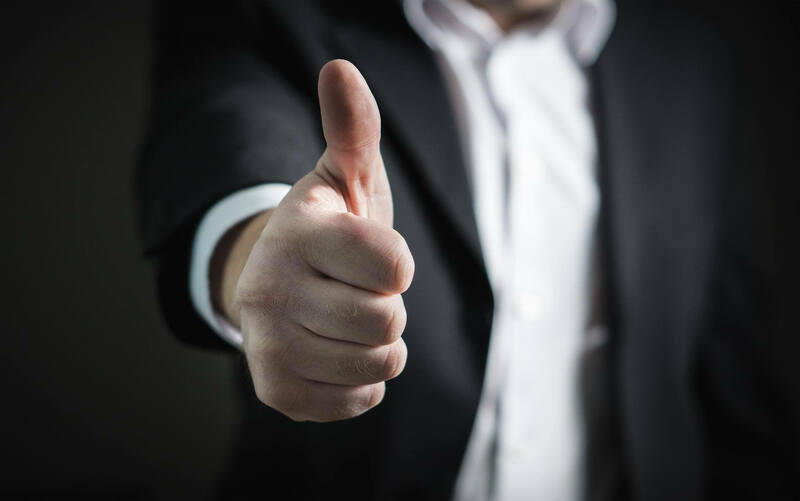 Falls Sie Interesse an kostenpflichtigen Leistungen wie Setup Support, einem Service-Vertrag, Hosting und Administration oder Entwicklung haben, werfen Sie doch einen Blick in die Liste der Commercial Services für den OpenEMM. If you find a bug in OpenEMM, please submit a detailed description of the bug (so that we can reproduce it) to this bugtracker. Thank you for helping us improving OpenEMM! What is a Hostname, a Domain and a FQND? A Fully Qualified Domain Name (FQDN) links to an IP address of a server. The Internet address may be composed of letters and numbers, by using this option nobody has to remember the difficult number sequence (IP). As you can see, the FQDN consists of the hostname, the domain and the top level domain separated by dots. Finally the server IP address (i.e. 172.16.13.52) will be replaced by the addressable www.yourcompany.com address. The FQDN can be expanded with a subdomain (i.e. miami). The subdomain will be inserted between the hostname and the domain name. Why do you use Sendmail and not other MTAs? Bounce management is based on a well documented plugin interface of Sendmail (milter) and permits combining the realibility of Sendmail with the flexibility of OpenEMM functions. How can I install OpenEMM on Debian? „Basically I used the file INSTALL.pdf, so I will point to the commands that differ from the manual. Java, nothing Debian specific here. I used ‚jdk-1_5_0_08-linux-i586.bin‘ as it is the latest version. Every command listed in the manual worked on Debian. If no firewall is used, this part can be skipped, otherwise the user should be experienced enough to manage it and activate it on start up. So here are the basic commands which will get you started. DNS, nothing Debian specific here. Basically you try to set up an MX record for the domain bounce.somecompany.com which points to www.somecompany.com which itself should point to an IP address or is a CNAME. Sendmail. This is my weak spot, as I never worked with it before and I’m still trying to manage the monster. To be honest I currently have no mail boxes on the system, so I can’t say if the bounce feature works 100%, but I know that the bounce management works for emails that are rejected by the foreign email server during the smtp session, so it should work with bounce emails as well. The rest stays the same as the Red Hat instructions. Suse instructions work for Debian as well. Red Hat instructions work for Debian. In case you have further questions you may find him on the OpenEMM support forums. Is it possible to install OpenEMM on a managed server? You do not need a dedicated server, a virtual server (e.g. VMware) is adequate. Is it possible to install OpenEMM via FTP? No, it is not. To install OpenEMM you need SSH shell access with root user rights. FTP access is not sufficient. Why does sending of mails not work (Linux only)? 1.) Trivial case: You have chosen a target group with no recipient, so there is no mail to be sent (target groups are ignored during admin and test mail sending). 2.) If the MySQL DB does not run on localhost, if you changed the name of the database or the user or password, please adjust parameters dbhost, dbdatabase, dbuser, dbpass in file agn.py in directory /home/openemm/bin/scripts accordingly. As these files are only temporary, you can either stop the process pickdist (using the command /home/openemm/bin/pickdist.sh stop) during mail generation or check the ARCHIVE directory for generated files. Do not forget to restart pickdist (using /home/openemm/bin/pickdist.sh start) to restart pickdist, if stopped. 5.) If mails are generated and written to /home/openemm/var/spool/ADMIN (admin and test mails only) or /home/openemm/var/spool/QUEUE (world mailings) you have to check for a working Sendmail. 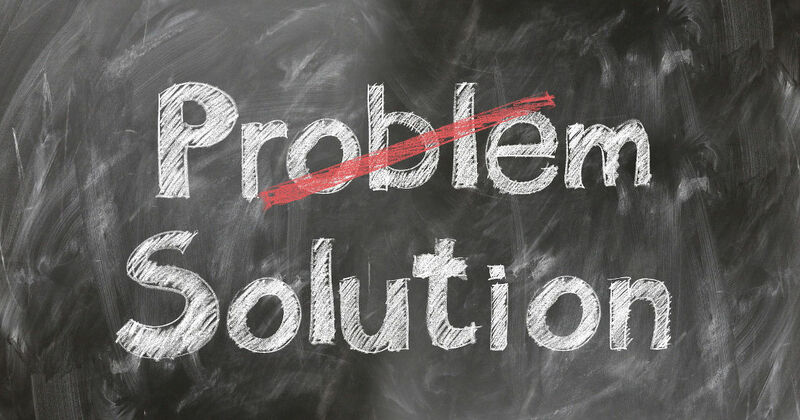 Therefore, you should consult log file /var/log/maillog to check for possible problems. If Sendmail tries to send mails you should see some hints here (but you can ignore messages like „unable to write pid to …: Permission denied“, because this does not stop sendmail from sending mails). 7.) If you use OpenEMM in a dial-up environment it may be possible that lots of internet providers and company server deny mails send directly from you (because of massive misuse by botnets). Very often this is indicated by bounce replies to the sender. If you are user root you can check for those bounce replies in file /var/spool/mail/root. replacing „smtp.your.provider“ with the name of your provider mail relay. Recreate the sendmail.cf file by typically calling make in /etc/mail or /etc and restart OpenEMM. But please ask your provider BEFORE if he permits mass mailings send over his relay! 8.) Finally, as always, it is a good idea to scan the logfiles in /home/openemm/var/log for suspicious messages. If Installing under Debian. Please make sure sendmail is not being started at system startup. Sendmail ist being started by the OpenEMM script and pointing to the Spool Directories within the OpenEMM Home. If sendmail is started by the rc scripts, it will point to the usual spool directory and never send emails. 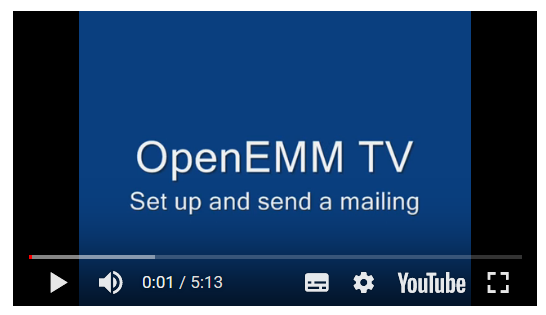 Should I use Sendmail or the internal SMTP server of OpenEMM? First, let’s take a look at the origin of the non sendmail solution. As OpenEMM is also available for Windows systems where no standard MTA is available, we needed some replacement. So we developed a simple sendmail emulation to do the required work to make OpenEMM usable. The configuration is reduced to a minimum. It is written in Python, which is a great computer language, but it is still an interpreted language, which means it’s not optimized for speed and high load systems. 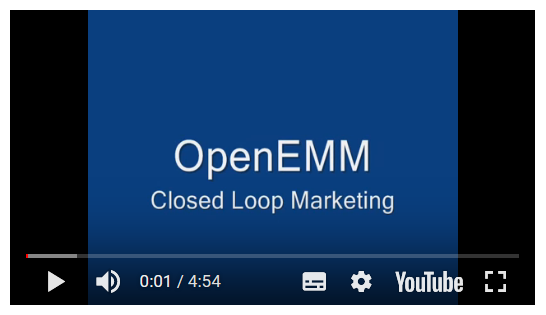 It is limited to do the work for OpenEMM, nothing more. So if you need any other functionality a MTA offers (from simple deliver mails to other local mailboxes to complicate filter, relay or gateway you can’t realize this. It’s part of your operating system, so you will always get the latest or most stable version and it can serve all local users as well. As it is used by a broad user base it is well tested and reliable. It is written in a compiled language, so it’s fast and can handle high load. A bit more configuration work to set it up for OpenEMM. So whenever possible, it makes more sense to use sendmail over the sendmail emulation as found in OpenEMM. If you cannot use sendmail, the emulation is still good enough for typical site. Of course, this only makes sense on Linux, on Windows you will use the emulation, as there is no sendmail available (in general). Why do I get an 404 not found error after installation? Before launching OpenEMM with shell script OpenEMM.sh make sure to use su – openemm when changing to user openemm. The „-“ is needed to include OpenEMM’s .bash_profile, which specifies the required environment variables. Do I have to set up the bounce management? Setting up the bounce management of OpenEMM is not necessary, since bounce management for bounces received during the send process (instant bounces) works out of the box. But if OpenEMM should even process bounces (and autoresponder mails) which are received hours or even days later (which is quite often the case) you have to do some setup. How can I change the salutation? You can define your own salutation in OpenEMM: Choose menu „Settings“ and select menu item „Forms of address“ (yes, bad wording, will be changed in the next release). Replace „1“ with the number of the salutation you defined. How can I change to a language other than English or German? If you would like to use a different language for the OpenEMM interface, please translate one of the localized files – either messages_en.properties or messages_de.properties – to your desired language. After saving the file and restarting OpenEMM, you can test the new messages by choosing the corresponding language for your user („Settings“/“User“/“Language“). If you submit the translated message file to us, we will be glad to include it into the next release of OpenEMM so that all users can benefit from your work – thank you! How can I use more than 120,000 addresses with OpenEMM? If you want to work with more than 120,000 addresses in your database, you have to change the property import.maxrows in file emm.properties in directory /home/openemm/webapps/core/WEB-INF/classes accordingly. However, the bigger your database, the more the performance of your OpenEMM installation will suffer. How do I set up the bounce management for delayed bounces? If you want to use the bounce management for delayed bounces you need to define a dedicated sender hostname for OpenEMM which is different from the existing host name of your server (see file „hosts“ in directory „/etc“), and you have to set up a A record and a MX (Mail Exchanger) record in your Domain Name Server (DNS) for the sender hostname. The MX record is used to route mail for a domain to one or more IP addresses. Sendmail needs the new (virtual) host as a destination, to forward all incoming response to, for further processing by OpenEMM. In our example the regular hostname is ‘host’ and the sender hostname for OpenEMM will be ‘news’. The first line assigns the IP address for openemm.org and the second line defines the regular hostname. The third and fourth line define the A record and the MX record for sender hostname ‘news’, meaning that host ‘host’ accepts e-mails sent to host ‘news’. If you create the file bav.conf-local please do not forget to re-create it after an update of OpenEMM – otherwise ist would be missing! Is OpenEMM available with a German user interface? Yes, you can change from English to German language. In the left navigation bar click on menu „Settings“ and choose submenu „User“. Select user „admin“ and change the language field from English to German. Retype your password twice (field „Password“ and „Confirm“) and press the „Save“ button. You have to log out and in again to activate the change of the user language. Why does redirection of trackable links not work? To make sure that the redirection of all trackable links in your e-mails works, you have to define the base URL for the OpenEMM redirect service in database table „company_tbl“ in field „rdir_domain“. Please do not forget a leading „http://“ or „https://“ which is required by the OpenEMM redirect service. During installation you can define the base URL by replacing the default URL „http://rdir.de“ in file openemm.sql which is used to fill the database with initial data. Your CompanyID is always 1. This is a fix value for upward compatibility and should not be changed! What should I do if I experience a Java.lang.OutOfMemoryError: Java heap space? If you have allocated all memory available and the error remains, you should increase your RAM to at least 1 GByte (better: 2 GByte) and modify the args parameter accordingly. Mailings must be sent (as test mailings) to check for the replacement of the ###AGNUID### tag. Simply checking in the preview window does not work (and showing the uid code would not be of value, anyway, since it would be non-clickable). To access database fields via the $customerData tag all field names have to be quoted lower case, i.e. $customerData.email and not $customerData.EMAIL. How can I use data fields within a link? If you want to transfer individual data of the profile of a recpient via link, the notation for the data field is different from the notation of data fields within the text body of an e-mail. Of course, you can use other field names than EMAIL – as long as a field of this name exists within the the recpient profile data set. I can not deselect checkboxes when I define new actions? When a step with a checkbox is added to an action and the checkbox is enabled, it can not be disabled again. To work around this, remove the step from the action and add it again. The new step will have checkboxes disabled by default. To populate the pull down menu list of the preview menu with addresses of recipients, those recipoients have to be defined as „Test recipients“ in the database field „Type“ of their profile (recipient ⇒ overview ⇒ klick on profile). The alphanumeric code which is prefixed by 0x (to tag the following code as hex code) is generated by the preceding select md5() statement. First, you have to create an action based mailing (Mailings -> New mailing), which you probably have done already. Secondly, you have to activate an action based mailing via „activate mailing“ in the „Send mailing“ tab. This is necessary because otherwise you will get lost if you have defined a larger number of action based mailings. 1. Define a new numeric data field „linkclicks“ (or use any other name) with default value 0 for the profile of your addresses. 2. Set up an action „clickcount“ which sets the content of the field „linkclicks“ to 1 (to register link clicks in general) or adds a value like +1 (to actually count link clicks). 3. When creating a mailing use the „trackable links“ tab to connect action „clickcount“ with the link for which you want to monitor clicks. From then on you can go to Recipient / Overview, using search filter „clickcount > 0“ and list all persons who clicked. Selbstverständlich versuchen wir, nur ausführlich getestete und fehlerfreie Versionen des OpenEMM zu veröffentlichen. Trotzdem rutscht gelegentlich ein Bug durch unsere kritischen Augen. Bitte helfen Sie uns deshalb, falls Ihnen im OpenEMM Fehler aufgefallen sind, zu denen es noch kein Reporting gibt. Wenn Sie ein wenig unsicher sind, ob Sie einen Bug gefunden haben, benutzen Sie bitte unser Support Forum Bugs, bug fixes & releases. Falls Sie einen neuen Bug in der letzten Version des OpenEMM melden möchten, verwenden Sie bitte den OpenEMM bugtracker, wählen anschließend “OpenEMM” im Gruppenfeld und die entsprechende Version im Feld Kategorie. Wichtig: Sollten Sie ein Sicherheitsproblem gefunden haben, benutzen Sie bitte nicht den Bugtracker, sondern senden eine E-Mail an bugs AT openemm DOT org (und ignorieren Sie die Autoresponder Nachricht). Danke für Ihre Unterstützung bei der Verbesserung des OpenEMM! Wir verwenden den OpenEMM Bugtracker von SourceForge für öffentliche Bug-Reports zum OpenEMM. 1. Pending: Bug-Meldungen mit dem Status Pending sind (noch) nicht bestätigt durch das Entwicklungsteam oder benötigen mehr Feedback. 2. Open: Bug-Meldungen mit dem Status Open sind durch das Entwicklungsteam bestätigt und werden so bald wie möglich gefixt. 3. Closed: Bug-Meldungen mit dem Status Closed sind im letzten Release bereits gefixt. 4. Deleted: Bug-Meldungen mit dem Status Deleted wurden durch das Entwicklungsteam abgelehnt. Bestätigte Bugs mit der Priorität 1 bis 3 sind weniger wichtig und werden mit dem nächsten Haupt-Release des OpenEMM gefixt. Bugs mit der Priorität 4 bis 6 sind wichtig und werden mit dem nächsten Bugfix Release des OpenEMM gefixt, zusätzlich wird ein separater Bugfix bereitgestellt (Ankündigung über Twitter). Bugs mit der Priorität 7 bis 9 sind kritisch und werden sobald wie möglich durch einen Bugfix und einen extra Release gefixt. Wir veröffentlichen Bugfixes im Unterverzeichnis „Bugfixes“ des OpenEMM-Verzeichnisses mit der dazugehörigen Versionsnummer im File Download Bereich von SourceForge. Wenn Sie über verfügbare Bugfixes für den OpenEMM benachrichtigt werden möchten, folgen Sie uns bitte auf Twitter unter http://www.twitter.com/openemm. Hier finden Sie nach Ländern sortiert eine Auflistung aller externen Firmen (Partner), die OpenEMM Consulting- und Support-Leistungen anbieten.